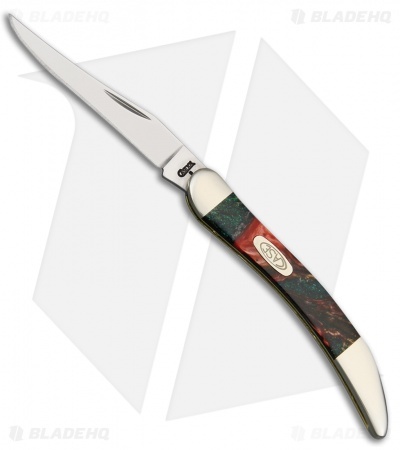 This Texas Toothpick model has a brown and green Corelon handle and a stainless steel blade. Add a classic pocketknife to your collection with the Small Texas Toothpick from Case Knives. This model has a clip point blade with a nail nick opener. Nickel silver bolsters and a case shield logo finish off the collectible design.